It's Friday, so that means it is time to feature another one of my triathlon friends. I hope you're all enjoying this little series. I love getting to know these athletes a little better and have taken lots of great advice away from reading their answers to my questions! This week, we meet Erik. Erik is one of my Ottawa Triathlon Club friends. I only really got to know him during the Newburyport Half Marathon road trip weekend, but now I'm happy to call him a friend. He has a great attitude and is a pretty hilarious guy. He and Brent definitely kept An and I entertained during our two 8 hour car rides to and from Massachusetts. Thanks for sharing Erik! I was born in Stockholm, Sweden where my father was posted working for the Canadian government's foreign service. I have always called Ottawa home though growing up I have also lived in the US and Germany as well. My background in athletics has varied throughout the years. 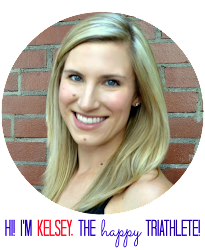 I discovered my love for swimming right from a young age spending summers taking swimming lessons at my Dad's cottage in Muskoka, Ontario. My parents were also avid downhill skiers so naturally I would partake in this as well in the winter seasons. Generally, though, sports was not really my thing at first. I started playing organized team sports at the varsity level during my later academic years, beginning with basketball in high school and then volleyball in university. Since then being physically active has become a very large part of my life. My typical triathlon race distance to date has been Olympic, though I don't really yet have a favorite or "specialize" in anything. I actually only completed my first sprint distance races this year, one individually and one as part of a relay team, after only having done Olympic distances in the previous two seasons. Other than that I also like to participate in a variety of other athletic events with friends such as half marathons, Spartan races, Tough Mudder and various GranFondo bike events. So finally on Christmas day of 2011 I sat in front of my laptop and thought "Ok why not!" and signed up for my first triathlon in Cornwall, Ontario for the following year in August 2012. I chose the Olympic distance to give me something really big to shoot for. I had no idea how to train for something like this or even what I had just gotten myself into, but immediately after clicking "register" on my online submission form I felt a surge of renewed energy... a determination that nothing was going to hold me down and no one would tell me I couldn't. Since then I have never looked back. I am now fully hooked into the sport, so much so that I will be participating in my first Ironman 70.3 race at Mont Tremblant on my birthday in June next year. * When things get tough, remind yourself why you are doing this. "Fun" should always be one of, if not the first, answer to this question. Being called an inspiration by my friends and family, simply for daring to try something new. The word "crazy" typically gets accompanied with that as well. LOL! Fundraising through athletic events is something I am also quite proud of. 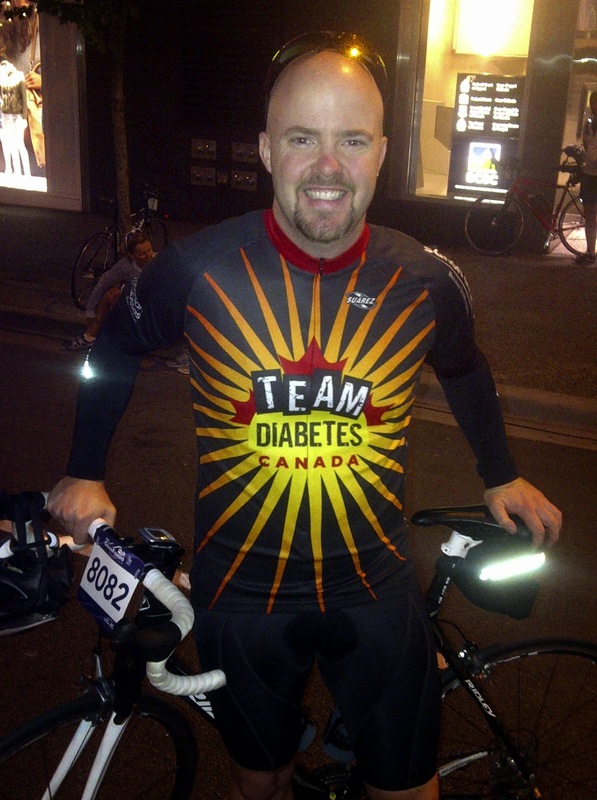 In 2010 and 2011 I raised money for both the American and Canadian Diabetes Associations while also participating in cycling and running events with each organization. I also raised money towards cancer research for the Ottawa Hospital Foundation in 2012 and participated in their annual "Ride the Rideau" event. My favorite fundraising experience, however, was raising money to fight cancer and participate in the 2013 Ride to Conquer Cancer from Toronto to Niagara. I hope to do this again someday soon. My brain. Overcoming mental blocks. This past season has been a great teacher for me regarding this. One event in particular that I participated in taught me valuable lessons in a rather unpleasant way where I struggled significantly, both physically and mentally, for really the first time since starting into the sport three years ago. I got very down on myself about it afterwards, but what really helped me overcome this particular situation was the wonderful people in my life...friends, family, and especially even my triathlon family...all rallying around me with words of encouragement and support. It helped me see that even in a negative situation there are positives that can be drawn from it and used to better myself going forward. I have learned from the experiences shared with others. It's still very much a work in progress, but knowing I have some awesome peeps backing me up and supporting me makes me smile knowing that I am not alone. This quote is so true of me. 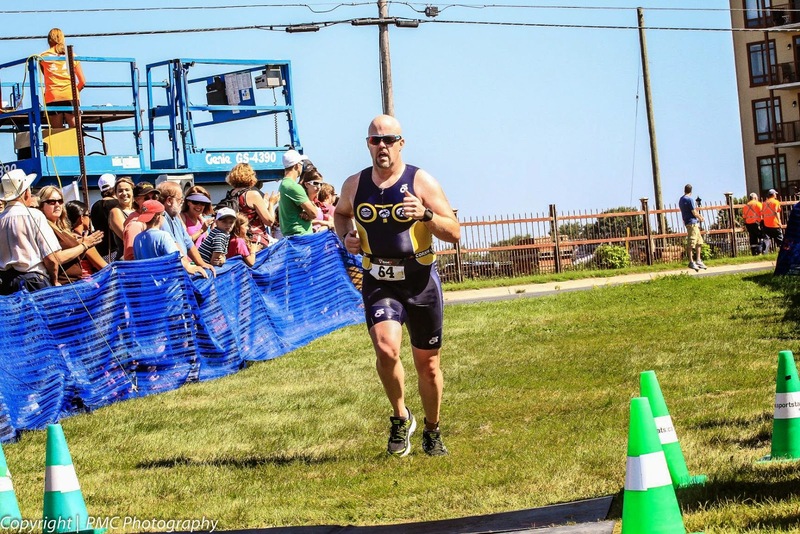 It all started when I dared to sign up for and complete my first triathlon. Since then I have been astounding myself at almost every turn with new lessons learned and discoveries of what I can do. A year or two ago the thought of doing an Ironman or even a half marathon seemed impossible to me, and now I have completed three half marathons and will be participating in my first 70.3 race next year. Am I crazy? Where's the limit? Is there even one? Time will tell I guess. LOL! Watching others dare to try: as a new hire instructor at my work one of the greatest rewards for me is seeing people that I have trained succeed and knowing I played a part in that. Though I am not a triathlon coach (not yet, anyways) the same is true for me in the triathlon world in that I get to share in people's triumphs, whether I played a part in it or not. It could be anything from someone signing up to do their very first event, or someone achieving a well-earned personal best result. There's something about being part of this community of like-minded, "crazy" people that is so rewarding and yet somewhat tough to describe. I love it! Time management for sure! The focus and planning that it takes to train for an Olympic triathlon has been quite the eye opener for me. As mentioned earlier I had no idea what I was getting myself into when I signed up for my first race but, in doing so, this has helped me be able to plan backwards from my goal to see what steps I needed to take in order to get there. This has translated directly into my work life as well as my personal life as it has helped me manage my time better and not spread myself too thin to the point where I am exhausted and something gets missed. Typically anything pasta related the night before, though it's not a must. I generally try and stay away from anything that could upset my stomach and mess things up for me on race day (chicken or seafood that could be under cooked, spicy food, etc). On race day my morning meal is typically a bagel with peanut butter along with a banana, a Clif bar and some Gatorade. Pre-race rituals: I probably check my race gear a thousand and one times the day before the actual event, and then again on race day. I like to get to the event at least an hour and a half ahead of time to a) not have to worry about something going wrong on the way there, and b) to set things up and quietly prepare myself mentally for the start of the race. Cycling will always be my first love. I love being able to get on my bike and set off on an adventure for parts unknown. Sure I will always have a general idea of where I am going, but I love the freedom of being able to deviate down a new road at any point along the way. Plus let's face it...when you get tired you can still coast forward and rest instead of just stopping. Way to go Erik, you have always been an up beat individual even when you were a kid raiding our refrigerator. We think of you as our other son and are so glad that you have found a new focus and passion. You are forever in our thoughts and prayers son your drive and determination is nothing short of inspiring.